SteamVR Tracking has enhanced the VR experience substantially but its use is not at all limited to VR only applications. The purpose of this tutorial is to provide step by step guidance on how to get started with the highest performance 6DOF positional tracking for as little as $234.98. 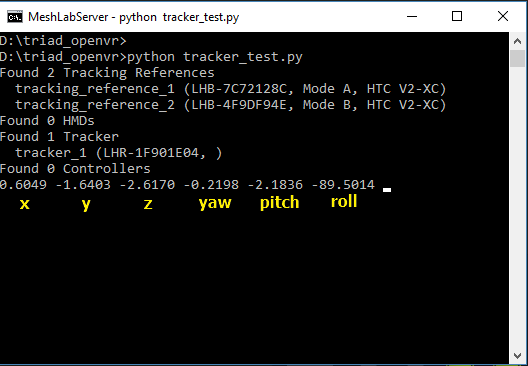 In this tutorial, the latest version of SteamVR Beta, is coupled with python 3.6, the pyopenvr library and the triad_openvr Python wrapper. Search for the “requireHmd” key under “steamvr”, set the value of this key to “false”. Search for the “forcedDriver” key under “steamvr”, set the value of this key to “null”. 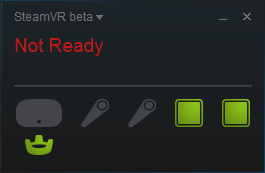 Search for the “activateMultipleDrivers” key under “steamvr”, set the value of this key to “true”. The following is a .vrsettings file that has been tested as functional. If you have any questions or would like to share your project based on this tutorial, please contact us at info@triadsemi.com, or click on the blue chat icon in the lower right corner of the screen to start a conversation now.